No Flies on this Cat – He shows this dog who the boss is! This entry was posted in Cat News and tagged cat, cats on May 15, 2014 by Kitty Kelly. What Happens To My Cat If I Die? What happens to my cat if I die? This is a question that we all ask ourselves every now and then. We may ponder this question for a moment, then put it out of our minds. It’s hard enough to face our own mortality let alone what happens to our cat or cats should something happen to us. Have you prepared for your cat’s future without you? Statistics tell us that only less than 50% of the population have a will in place and that only less than 2% of those that do, have also made provision for their pet/s. However, if prompted by their attorney to add provisions for a pet, this percentage increases to 90%. This means that those who are not prompted or unable to afford legal assistance in preparing their will, may fail to provide for their pets future care. Statistics also tell us that we are an ageing population and as such 6.500 people die daily. However, it’s not just death that is an issue, as an ageing population we are also prone to illness, disease and accidents. This means that we still need to make plans for the provision of our cats’ care in the event of not only death but also illness. In neglecting to provide for our cat’s future we risk the chance that they become one of the 1.5 millions animals who are euthanized each year. It is important to be aware that, whether you can afford legal assistance or not there are ways to provide for your pet in case of death or illness. We discussed the importance of collecting documentation regarding your cat’s care in another article. It is vital to have all of your cat’s vaccination certificates and other documentation for the future carer of your cat. While you are at it, write down a care plan for your cat, including all the things that a carer would need to know in order to carry out the care, and meet the needs of your cat. The care plan should be documented in a trust, or pet protection agreement, if you have one of these and also kept with a copy of the will. If you have a carer identified then give a copy to them also. Exercise, does the cat walk on a leash? Grooming requirements and favorite type of petting. Behaviors – does your cat liked being picked up? Behaviors – Is your cat terrified of thunder or fireworks? Behaviors – does your cat hate other cats or dogs? Is car sickness an issue? Do you own a pet carrier? A piece of clothing with your scent on it, to provide comfort to your cat once you have passed away. If you don’t have the financial means to get a will done by a lawyer at least get some advice before completing a last will and testament. Community centers sometimes provide free basic legal counselling which may assist. Inexpensive wills kits can be found, the internet is a great source of wills that can be saved, downloaded and printed out. All that is required is a provision that leaves the cat or cats to a particular beneficiary. Money may be left for the care of the cat/s to the carer or another person who distributes it to a carer. There are a number of things to consider, firstly a will only protects the welfare of your cat if you die and not if you are hospitalized. Arrangements still need to be made in the interim as the estate may not be distributed for months after your death. The money left to a person to care for your cat will also be paid out in a lump sum and there is no way of knowing if your wishes will be complied with, as you specified in the will. Once you create a last will and testament, ensure that you leave a copy with the executor/executrix as well as the documentation that they will need to pass on to your cat’s carer. If you have everything sorted and everyone in agreement and the chance of your will being contested is low, then this alternative may meet your needs. A trust is a legal structure into which you transfer an asset or the ownership of something into. You can transfer the ownership of your cat to a trust and specify the care, duties and finances however, you have to appoint a carer and trustee. The trustee will oversee the care and finances as stipulated in the trust deed. The trust can be created separately from the will and thus can apply in the event of illness or hospitalization. There are two types of trusts, the traditional trust and statutory trust. Traditional pet trusts are valid in all states of America and can be included in Estate Planning or can be done separately, however as it requires professional legal assistance, and costs associated with set up and funding, it can work out to be expensive. That said, it can confer peace of mind as the appointed carer and trustee are legally bound to carry out your intentions. The trust can be acted on whilst you are still alive, especially in the event of sudden illness or an accident. You can also specify how long it last and nominate a back up trustee and carer in the case that the original ones appointed should predecease your cat. You can also specify that any monies remaining in the trust after the death of the pet may be donated to a particular person or organisation. If you have the money and have someone to nominate as the trustee and carer then this seems to be the most legally efficient way to ensure the ongoing care of your cat for the rest of its life. Statutory pet trusts are only valid in 46 states, at the time of writing. They offer protection however it may not be as legally rigorous as a traditional trust in withstanding attempts to contest the trust. A statutory pet trust is basic and may consist of a basic provision in a will. In any event it could be as simple as “I leave $$ in trust for the care of my cat”. Aside from the statutory and traditional trusts which can be created there is the possibility of creating those trusts to take effect in the event of illness before death or after death. Both types are different in the way which they take effect, are funded and the speed with which your cat’s care can be assumed. A trust can be set up to take effect once you die. This means that it is less expensive as it is funded essentially by your estate or benefits paid at your death to the estate, as provided for in your will. Because it doesn’t take effect until probate you have to consider the cat’s care in the interim. A trust can be set up which takes effect in the event that you die or become incapacitated. This enables the elected trustee to control the situation, get the carer and administer funds as required. As mentioned above this is the more costly structure, as the trust needs to have funds allocated when it is created, there are also start up costs and ongoing administrative costs as well. Legal assistance is required to set up either of the above trust structures. An attorney experienced in the area of pet trusts will be able to advise on all areas and suggest amounts for funding the trust and how to fund the trust. They should be able to approximate the set up and ongoing administrative costs and refer you to an accountant for taxation advice. A Pet Protection Agreement is available for purchase through the legalzoom.com website. This type of agreement is quite simple to complete, available online and relatively cheap starting at $39.00 for a basic set up. The agreement enables you to specify a carer, leave money for care and can be utilized in cases of illness or hospitalization. The agreement does not require any funding on set up and therefore is slightly different to the traditional trust in that respect. This is a letter that you write to state your wishes for the care of your animal in the event of your death. The letter can be done separately to the last will and testament and if one already exists it can just be attached to it with the instructions of care and necessary documentation. These letters can be bought from the internet and this site has a basic legal pack for an individual starting at $60.00. A power of attorney authorizes a person or people nominated to act on your behalf in the event that you become incapacitated and cannot make decisions independently. It can cover the areas of financial, medical and guardianship. You can specify who is to perform those tasks and therefore insert instructions regarding your cat’s care. The documentation can usually be found on the internet at no cost and can be signed with witnesses. Although a legal document, again it does not guarantee that your cat will be cared for in the manner that you wish. It is advisable to seek a potential carer and a secondary carer and give them a copy of the power of attorney and the relevant documentation pertaining to your cat’s care or at least the location of such. If you wish to contribute to the funding of care this will need to be arranged also. Always ask those that you wish to care for your cat, if they are willing to do so. Sometimes the people you think would be ideal may have other plans in life, always check first before nominating anyone. Consider also, the person you nominate to care for your cat, may also pass away before your cat. What is the planned alternative should this occur? The best outcome for your cat would be to find a carer who is familiar with your cat, loves cats and is willing to take in your cat no matter what its age. If you do manage to find someone who is willing to take on this role, then put it in writing, giving them a care plan, the location of the documentation and a house key, should anything happen. It is important to clarify whether they are available not just in the event of your death but illness or hospitalization. If they are unable to do short term emergency care then you will have to find someone like a neighbor who can step in and assume care or at least organize for the cattery to collect kitty. All of this means that you avoid the possibility that your cat ends up in a shelter. If you live alone and have no person to whom you can entrust your cats’ care then a no kill shelter may be your only alternative. If you are hospitalized then a cattery may be your only choice in these circumstances, so ensure that you have selected one that suits you, should this happen. Find out what is available to you in your area, shelters usually take animals under circumstances such as death and only for re-housing not permanent care. However, they may not take kitty if you are in hospital. Therefore, you will have to make different arrangements to cover for both scenarios. A cat guardian service exists in the U.K. and services all of the U.K. and the service is free, although they do accept donations. This type of shelter requires registration and provides a kit so you can let others know of your wishes, they can also collect your cat and guarantee to re house your cat. They require a codicil in your will to enable them to carry out your wishes, however this seems like a worthwhile alternative. If you can find a cat shelter in your area, it is worth asking if they offer a similar type of service, even if they don’t advertise that they do. Some shelters may not be able to guarantee that they will hold your cat indefinitely until it is housed, and that it may be put down. Also, are there any cat retirement facilities or sanctuaries who will take your cat for the rest of it’s life? Would you prefer your cat to be rehoused in a loving home, spend its life in a sanctuary or retirement facility, these are the alternatives from which you will have to decide. If you have a terminal illness there maybe organisations specifically appropriated to meet your needs. One such organisation that I have found is able to rehouse pets, however you will have to research your own state to see if such an organisation exists. Once you have made arrangements keep a note inside your wallet or purse letting people know what action to take. You could also leave a note inside your house, in a prominent position (inside your front door), with phone numbers, to enable a person to call the organisation or person to collect your cat/s. If your cat is going to go to an shelter or cattery ensure that all of the documentation that needs to go is also readily available. This also applies to any neighbor or carer that you have nominated either informally in a trust or other agreement. Remember that any wishes specified in your last will and testament cannot be enacted on until probate is completed, so ensure that you have an agreement in place either informally or via a separate trust to ensure that your cat is able to be cared for immediately in the case of either hospitalization or death. There are many resources available on the internet to assist you in deciding how best to protect the welfare of your cat in the event of illness or death. It is advisable to read all you can and follow up as soon as possible. Often, we don’t know where life is going to take us, but at least you would have the comfort of knowing that if anything should happen to you, at least the needs of your cat are provided for and that he or she will suffer less in your absence. This entry was posted in Cat Health and tagged cat, cats on March 23, 2014 by Kitty Kelly. 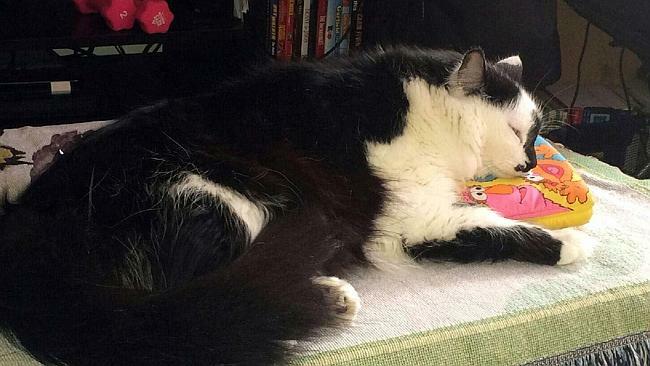 Looking After Your Cat on a Hot Day. It is extremely important when looking after your cat on a hot day to provide adequate shelter and hydration. This ensures that your cat will be comfortable and will not suffer from the heat and its effects. It may not be hot where you are right now, however hopefully you will remember these tips when it is and refer back to them. People sometimes forget that their animals have special needs during the extremes of our weather. On hot days, always provide cool or cold water in and out of the house. Keep ice blocks handy in the freezer during Summer so that they can easily be popped in Kitty’s drinking water. If possible ensure that Kitty is inside and preferably near an airconditioner. Everyone knows that you can’t always tell a cat what to do, so if your cat prefers to stay outside, ensure that there is shade and water. If transporting your cat to an appointment on a hot day, always drop the cat off first, never leave the cat alone in the car, temperatures can rise quickly causing distress, permanent damage, and at worst death. Be on the watch for signs of heat stroke, including fatigue, loss of appetite, excessive panting, diarrhoea or salivating. Heat stroke is an emergency situation, and if suspected your cat must be taken to the Vet immediately. This entry was posted in Cat Health and tagged cat, cats, Heat and Cats, Hot Weather on January 28, 2014 by Kitty Kelly.